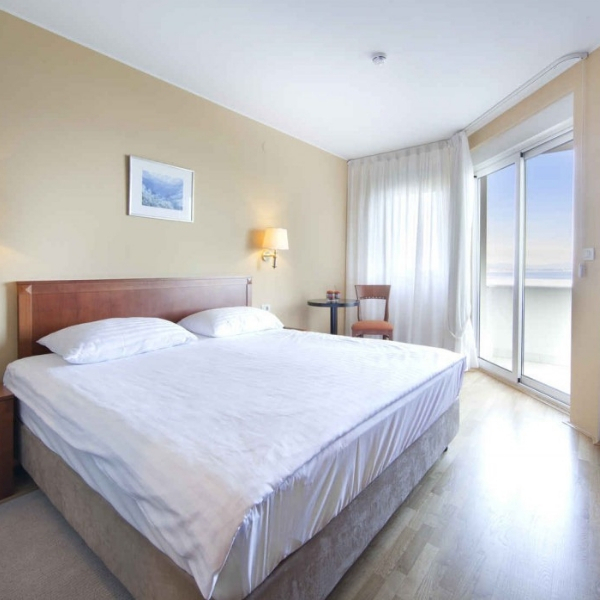 Book your luxury holiday in Croatia at the award winning family run Hotel Villa Kapetanović, situated above the picturesque village of Volosko, in the charming historical town of Opatija. 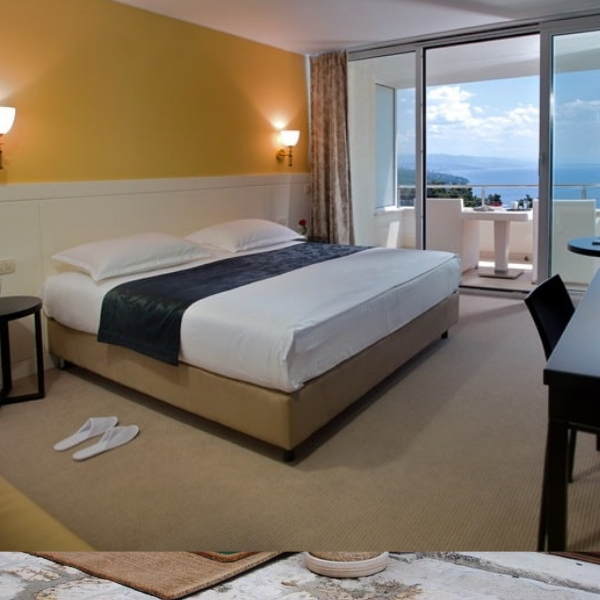 The sophisticated and modern boutique hotel boasts majestic panoramic views of the Kvarner islands and delivers exceptional service. The 4 star, award winning Hotel Villa Kapetanović is perfectly situated between the lush countryside of the region and the endless blue sea. 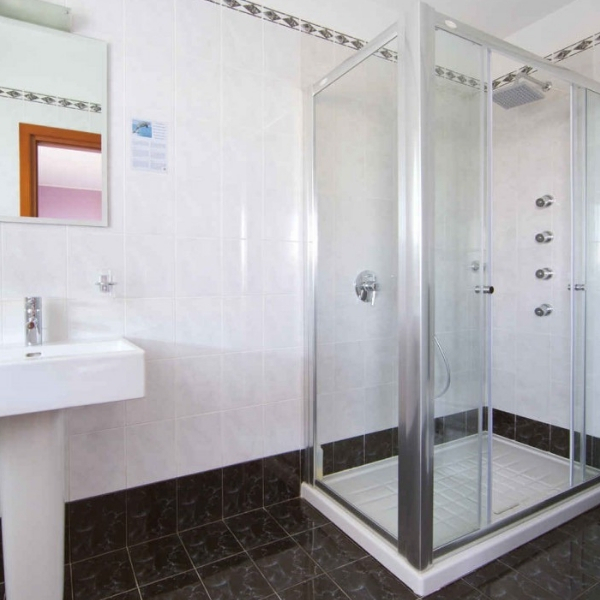 The chic boutique hotel offers luxurious and superior accommodation and memorable vistas. The elegant Laurus restaurant has an extensive wine list and serves fresh, seasonal produce and innovative cuisine, and four and seven course tasting menus. The restaurant boasts a large aquarium with live lobsters and a terrace offering stunning oceanic views. 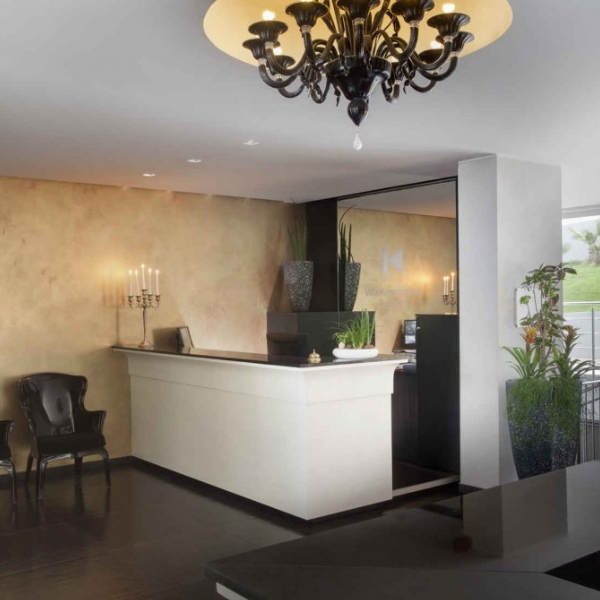 The hotel’s Laurus Spa is an oasis of calm. You can enjoy a wide range of relaxing massage and beauty treatments, as well as the Finnish sauna, Turkish bath and tranquility room. There are also 5 beaches located within easy reach of the Hotel Villa Kapetanović. 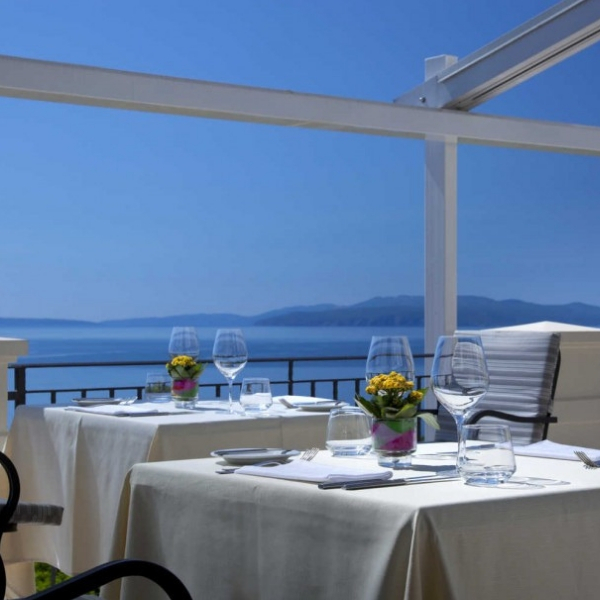 To fully enjoy all that this elegant hotel has to offer, it is essential to visit the beautiful romantic parks, the Lungomare seaside promenade and the Lady of the Carmellias fountain. If you enjoy more active pursuits you can enjoy cycling, motorcycle tours, tennis, climbing, hiking, horse riding and watersports. Organised excursions to the Amphitheatre Pula, Plitvice Lakes, the Kvarner islands, Gorski Kotar or the capital city of Zagreb can be booked through our concierge service. Laurus restaurant, serving fresh, seasonal produce and innovative cuisine, and four and seven course tasting menus.